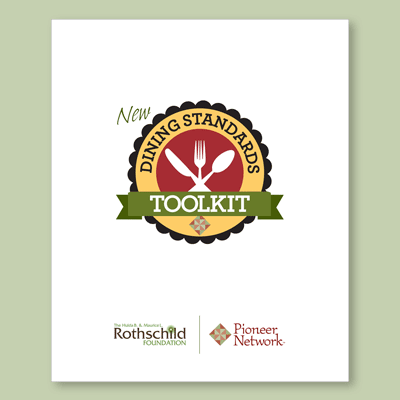 The Dining Standards Toolkit has been developed to help your community put the new standards and research to work for you. Medical evidence from recent research studies has demonstrated that restrictive diets for older individuals in long term care are of little benefit, and in fact can be detrimental. These diets often cause residents to reject their meals, leading to weight loss. Restricting sugar, salt, or fat make little difference in blood sugar, blood pressure, or cholesterol in the older person. Research evidence shows that a liberalized, regular diet for most residents can enhance quality of life as well as contribute to maintenance of health. The concept of informed choice is key in supporting individuals to make choices about things that are important to them, including the foods they eat. 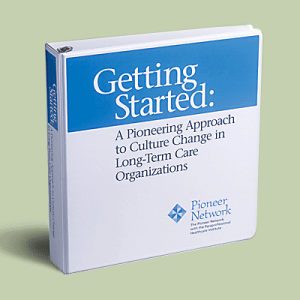 In 2012, the Rothschild Foundation provided funding for Pioneer Network to convene a Task Force to develop a Dining Standards Toolkit which would help long-term care communities implement the New Dining Practice Standards. The Dining Standards Toolkit includes 10 Standards sections, which combine model policies and procedures to be used as templates. Each policy and procedures section is followed by an algorithm depicting the flow of operationalizing that particular policy and associated procedures. 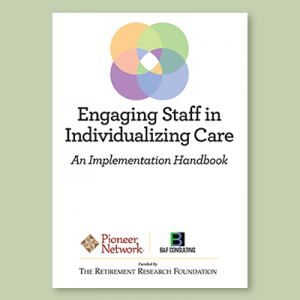 These tools will help communities and care teams in decision making to support individual choice and also mitigate risks that may arise due to honoring choice. The Dining Standards Toolkit includes frequent references to CMS federal regulations and interpretive guidance, and shows how supportive CMS regulations are in enabling individuals to eat foods they want to eat. Also included are relevant CMS Quality Indicator Survey (QIS) and Traditional Survey tools.